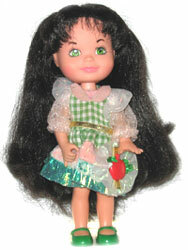 "Smells So Fresh 'n Clean!" 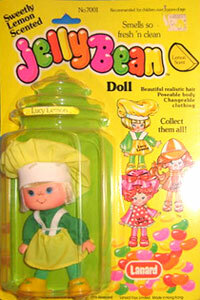 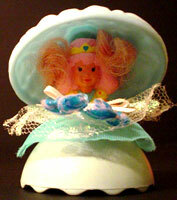 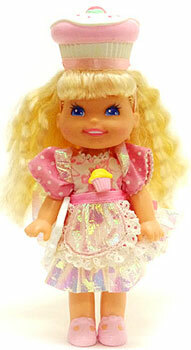 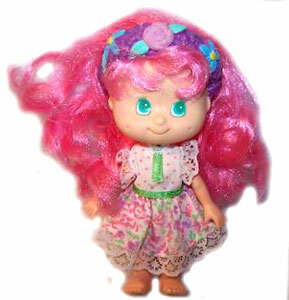 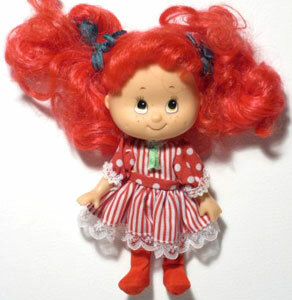 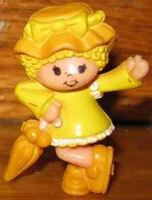 Jelly Bean was produced by Lanard in 1981 as a rival to Kenner's Strawberry Shortcake dolls. 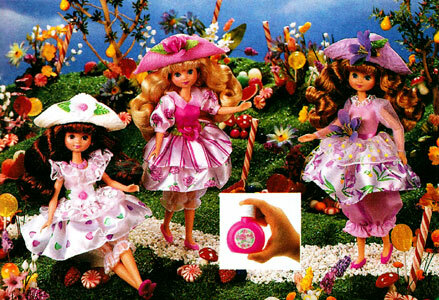 They were a very small line of three scented dolls so similar to SSC that they often get mistaken for them. 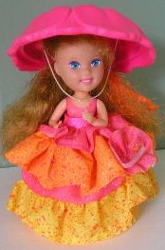 There was also four sets of fashion wear. 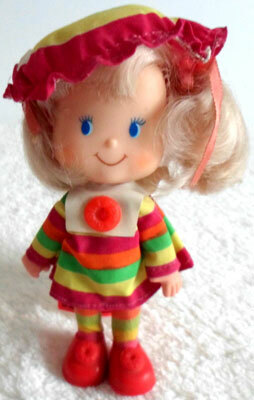 Images on this page thanks to Karen's Toys, MJM1977, French Fantasy and eBay sellers Little Toys for Big Kids and wheeler2005! 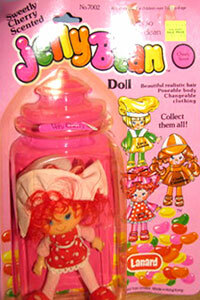 View all Jelly Beans on eBay.com or eBay.co.uk ! 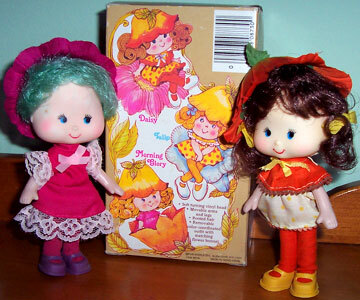 There were three dolls in the Jelly Bean line. 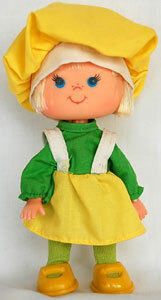 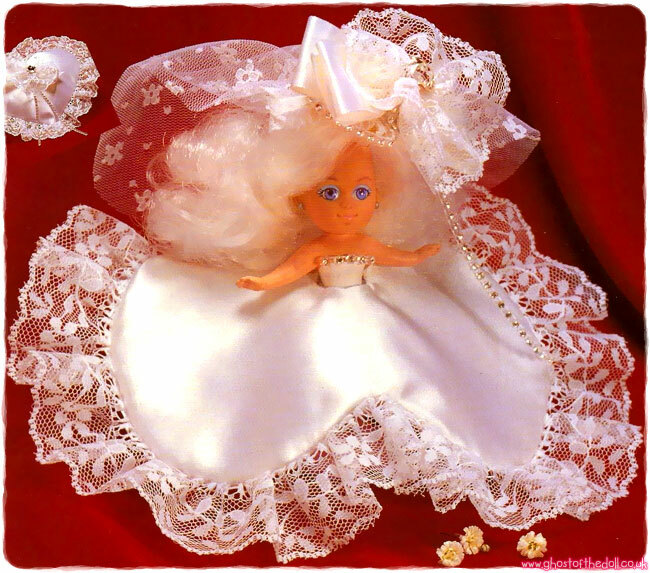 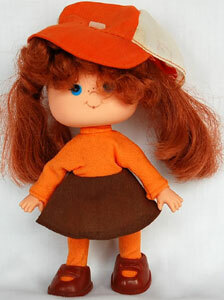 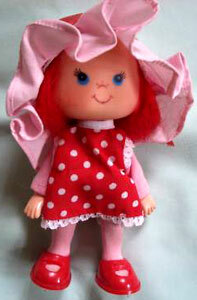 Each doll came fully dressed with removable hat, dress, tights and shoes and were scented like their names. 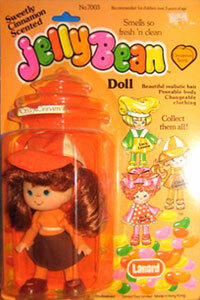 Their packaging was made to look like jelly beans in a jar. 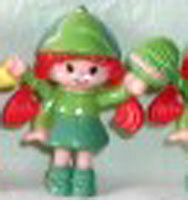 There were three miniature figures produced. 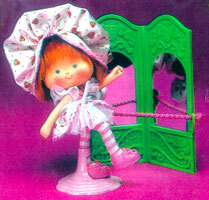 These moulds were re-used for Lanard's Crayon Doll miniatures too, pictured below for comparison.